Normally we make single taste one dosa variety at a time. If we make multiple tastes dosas at a same time everyone would love it. When each taste comes from each veggies it also makes the dishes very healthy too. Moreover the multicolor presentation would attract kids very much. 1. Heat the mini uthappam pan, pour few drops of oil in each circles. 2. Pour small ladle full of batter (2 tbsp) in each circles and make circular shapes. 3. 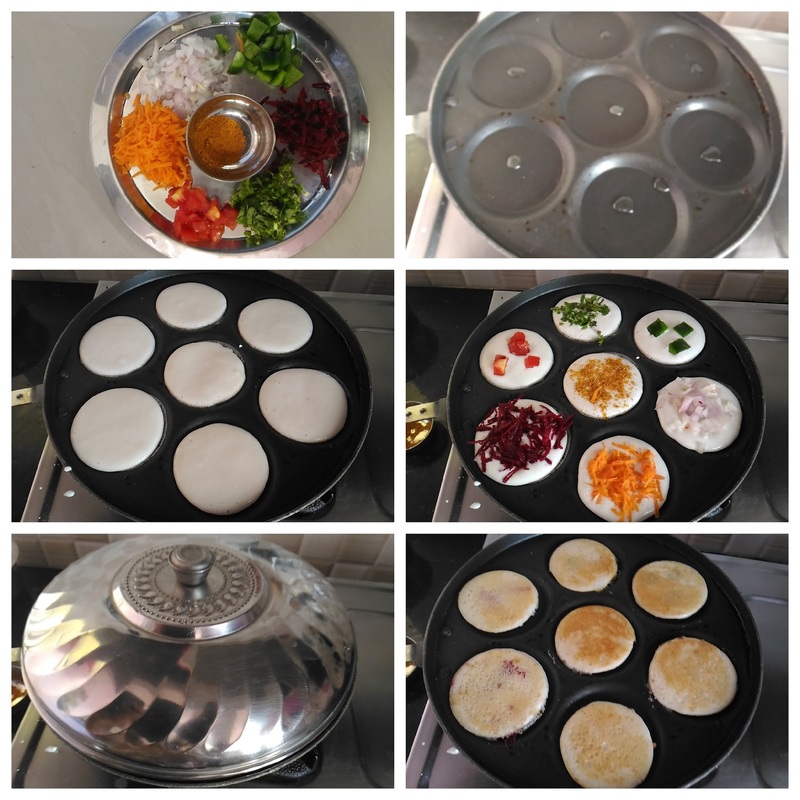 Now sprinkle 7 varieties of toppings on 7 uthappams and press them gently with dosa-turn over ladle. 4. Pour few drops of oil along the sides of the dosas. 5. Turn over carefully once they reaches golden in color. 6. Then remove from the tawa, when they become golden on both sides. 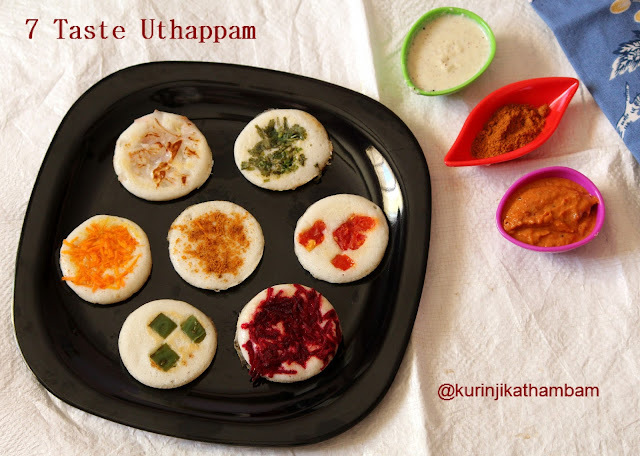 Yummy and tasty uthappams are ready to serve. Serve with coconut Chutney and kara chutney. 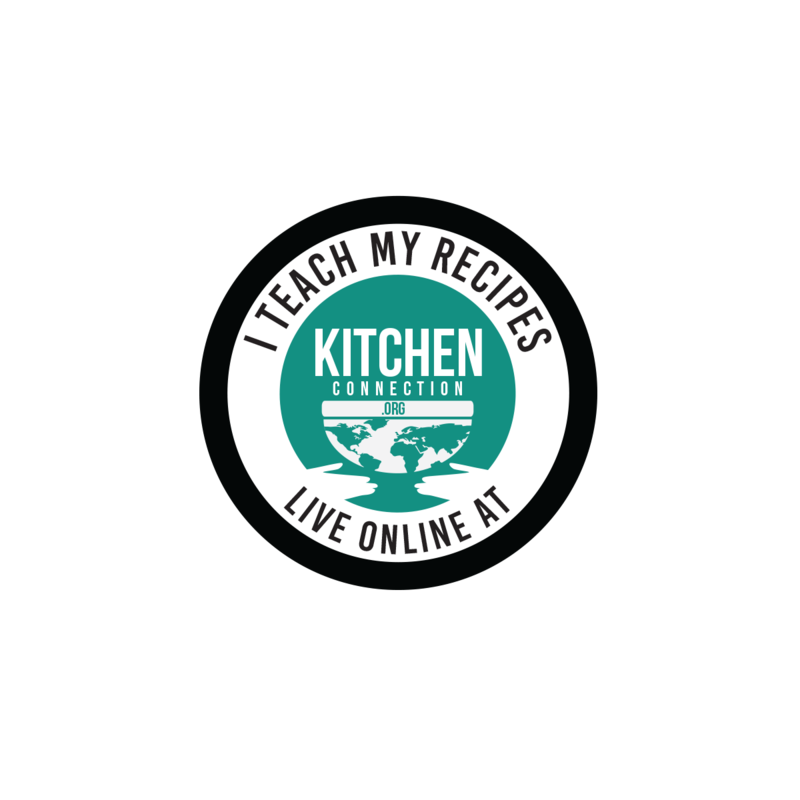 Click HERE to view 20+ Dosa Recipes. 1. Toppings are your choice. 2. If you don’t have mini uthappam pan, you can make small uthappams with your normal dosa tawa. 3. Use fermented Idly batter or dosa batter.